Forgot to post these! 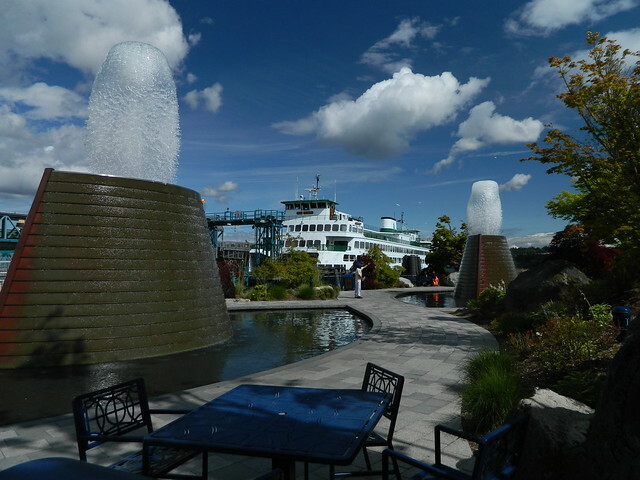 I took these on the day of the M/V Salish open house. After the open house, I headed to Bremerton to visit my sister and visit with the Kaleetan. :)I really like the photo spread posted by stevenrosenow, and wish our older generation vessels, illustrated by the pastel Esquimalt headers, had been kept as historical in their later years! We are very good at flushing away our heritage! :'(mrdot. Anyone know why the Kaleetan's got some Eagle Harbor time coming up in the fall? 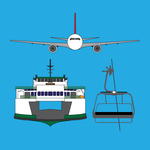 USCG inspection is an annual event, and usually takes two days (though it can take three, especially if a new inspector is being trained). I was just looking for the fiscal year maintenance scorecard on the WSF website, but I can't find it. I was hoping to be able to give a guess depending on the duration of the yard period. According to the upcoming yard schedule, the Kaleetan is scheduled for drydocking, bilge preservation, sea valve inspection and shaft seals replacement. So the Kaleetan had a mechanical problem today according to the WSF website. Must not have been too serious as she was back in service in the early afternoon. Anybody know what happened? I read about that on twitter last night. 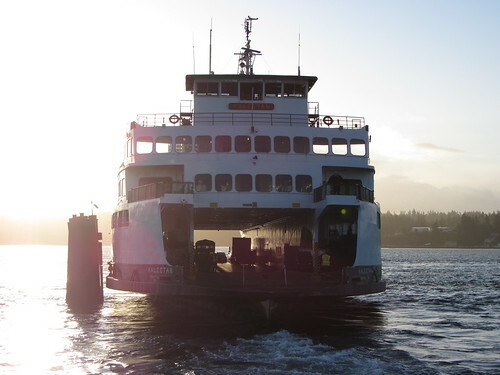 I really wish the WSDOT wouldn't take to the task of deleting old ferry alerts. 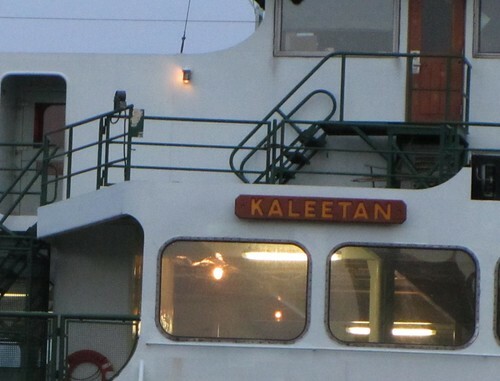 All I read was that the Kaleetan was back in service, nothing noting the cause of its missed sailing. 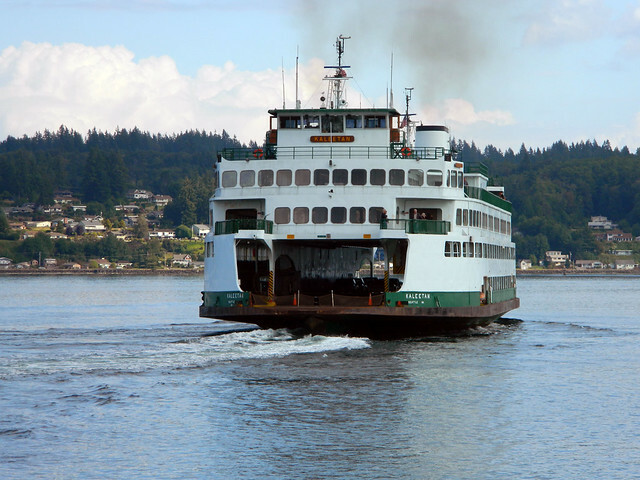 You can sign up for Ferry Alerts "email-style" delivered to your inbox. 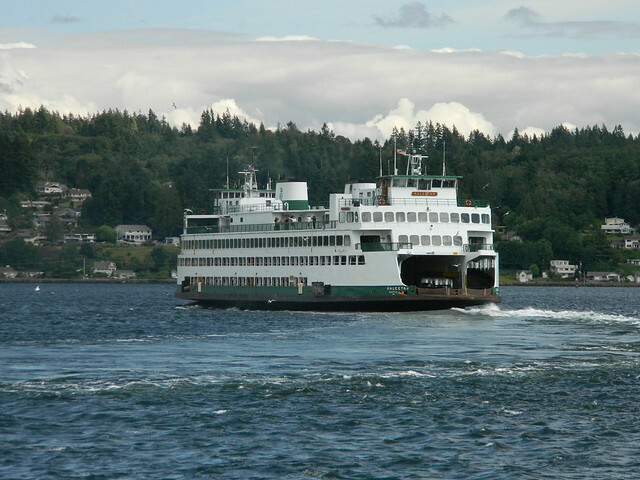 Click on "Receive ferry email alerts" under "TRAVEL CONDITIONS". When you've accumulated a whole bunch of WSF alerts on your server, create a local folder called: "WSF Ferry Alert Archives"
Create a sub folder by year if you wish. Move the message(s) to your created archives folder. That way, you can save these messages indefinitely. 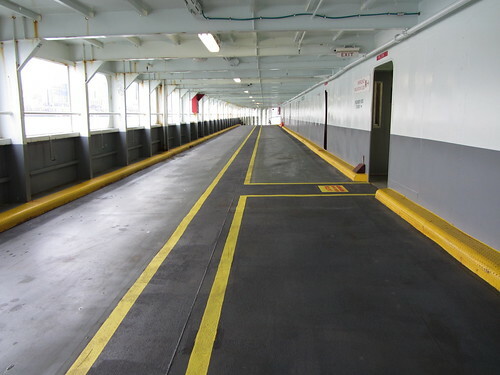 According to the latest drydock and maintenance schedule, the M.V. 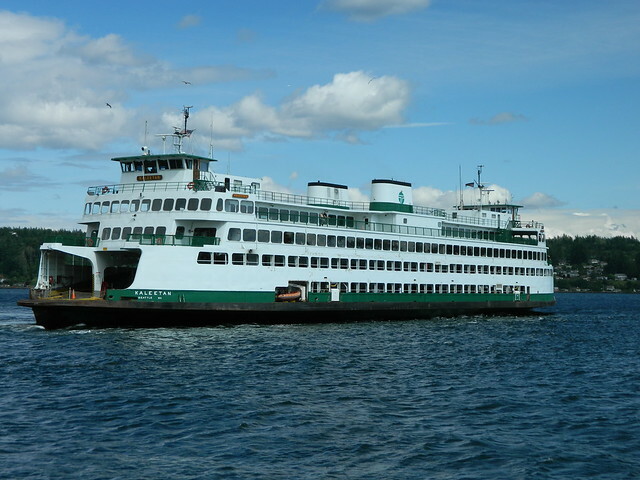 Kaleetan is set for two months of drydock/Eagle Harbor maintenance time starting the last week of September. Today, I took my last crossing aboard the Kaleetan. My job as a professional photographer (self-employed, I own my own photography business) led me to do a professional shoot aboard the Kaleetan today, and inbetween poses and shot setups, I took time to take one more trip with my camera. Farewell, Kaleetan. We shall reunite in December. 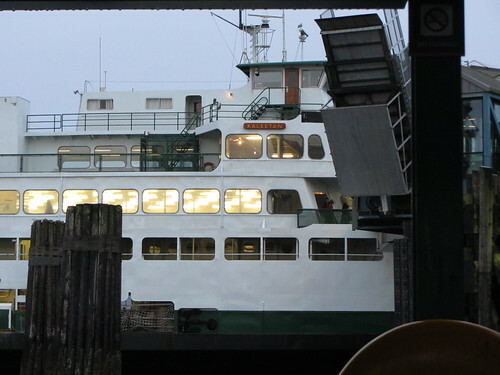 And for the departing shots, leaving Bremerton at 4:15 for Seattle. That means we can finally meet up face-to-face! I am there all the time. I think San Juan Islanders may have something to say about that. Yakima's been the regular up there for over a decade now. 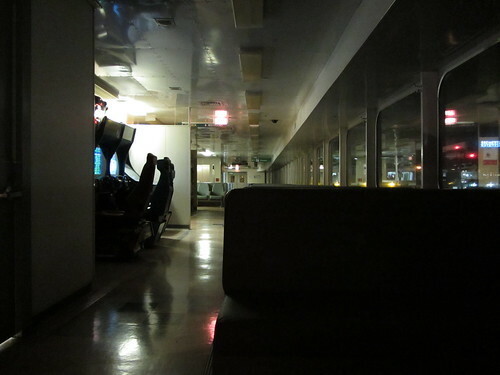 Besides, if they ever re-do Hyak's interior, she may very well end up being the nicest Super. Steve: that would be awesome. 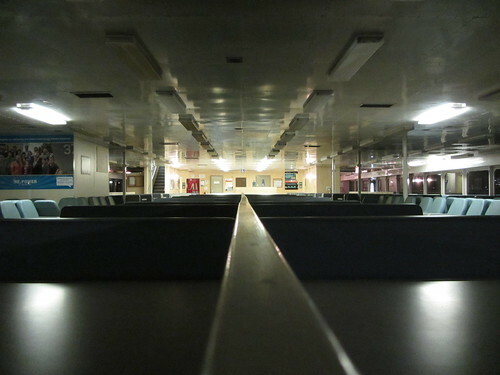 I like the Hyak's interior as a reminder of how things were, but its gotta change. I don't want to see it running around with the old interior for another 20 years and hearing "its going to be retired in five years" or something along those lines. 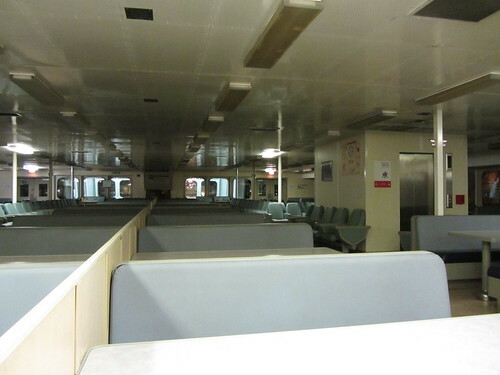 Much of the flooring and the vinyl seat covers were replaced on the Hyak in the last six or seven years, as were the light fixtures. While it isn't all whiz-bang-pretty like some of the other boats, fact remains that maintenance work has been done on the cabin. 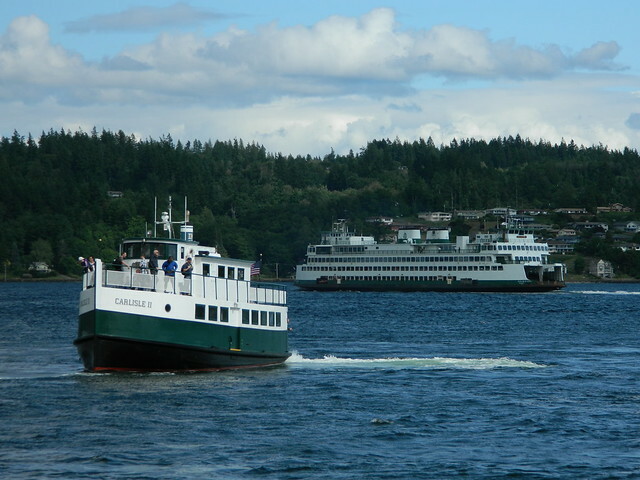 Two supers @ Bremerton is great! 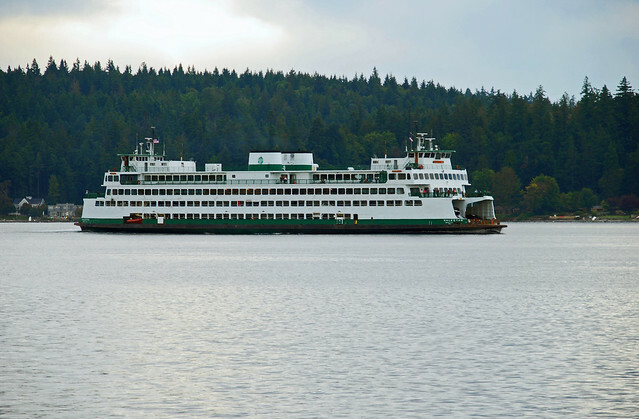 Personally, If I could pair two supers at Bremerton, it would be Elwha and either Kalletain or Yakima. But with the fact that I avoid Klahowya at all costs, I think my opinion is different from that of everyone else. 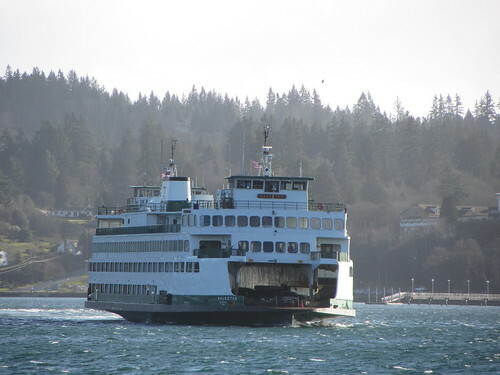 As for Hyak renovations, don't think that will happen soon. Just out of curiosity, why do you avoid the Klahowya at all costs? I'm not a Washingtonian, so I don't follow every single news story from down on your end of the Salish Sea. Is there something I missed, or is it just personal? 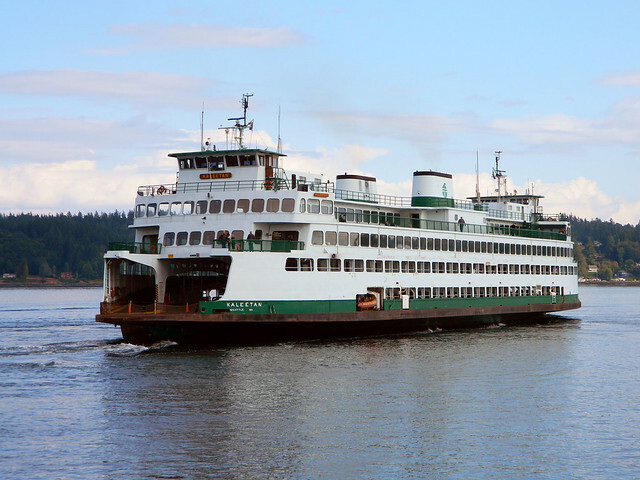 And, of course, with the Elwha's SOLAS rating, any appearances she makes at Bremerton will be a statistical anomaly and can be ignored. 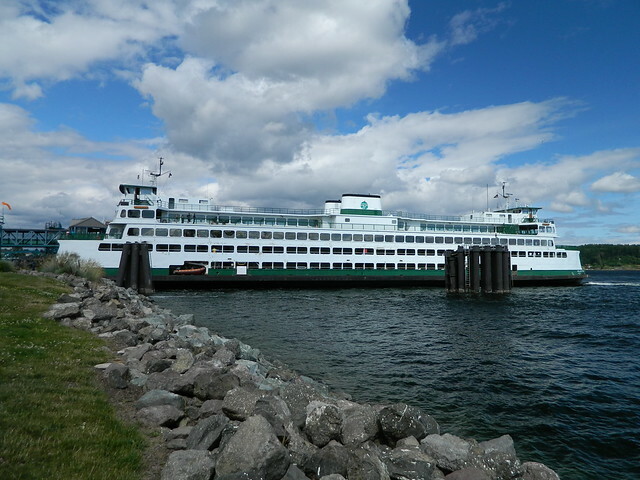 The Klahowya is a Evergreen Class boat which are the boats that I would love to travel on. I think those boats are really interesting even though I have never set foot on those ones before. 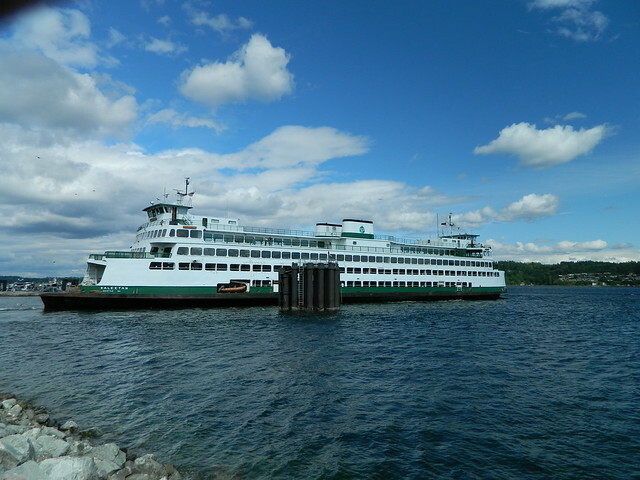 I really keep trying to plan a trip down to the San Juans to get on the Evergreen State and the Yakima! Hopefully this year at some point. Although, it did happen for a few days in either 2008 or 2009. Unfortunately, it was during the time I was living in Seattle and I totally missed it. As for the Klahowya, I'd prefer it over the Tillikum. Either Klahowya or Issaquah-they have better cabins IMO. And there are power outlets at every few windows. Sorta like the Hyak vs. Kaleetan. Kaleetan has the higher comfort and more plugs (I really like to charge my phone-the battery is awful)...and she doesn't lay down that smoke screen when leaving a dock. 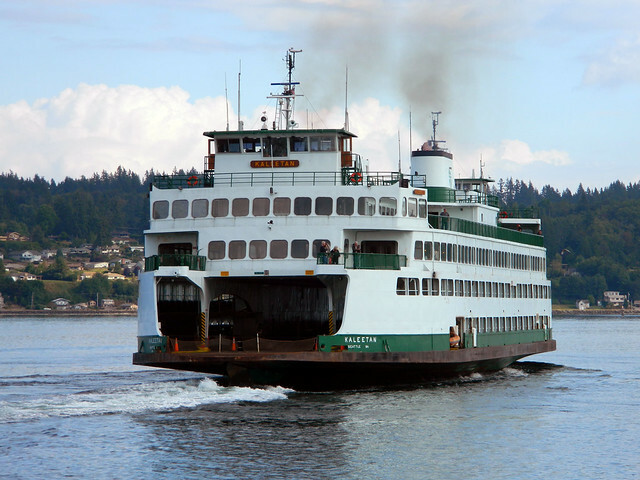 Hyak and Tillikum make their departures known. Looks like she got a new coat of paint on the entire starboard side. 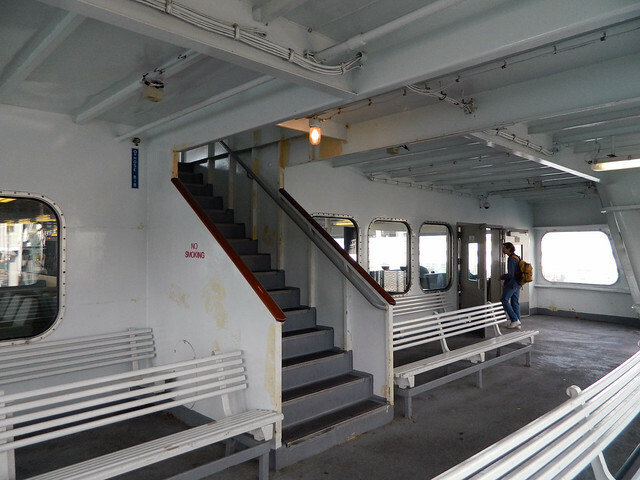 Last time I took photos of that side there was an awful lot of pre-cancerous rust in the weld seams and in other spots at the passenger deck level. I'd say she got some new paint work, for sure! Definitely some new paint. 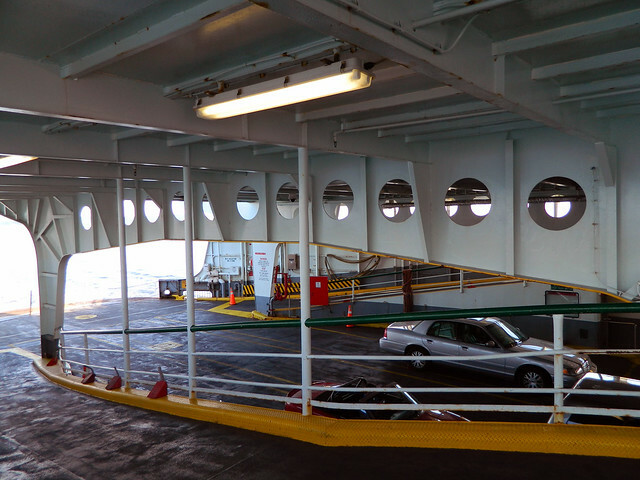 Although there is a bit of rust inside the car deck windows.